Royal Diary: Mai Oyama on Facebook! Hello everyone! Mai here. Well, I've been planning this for very long time. 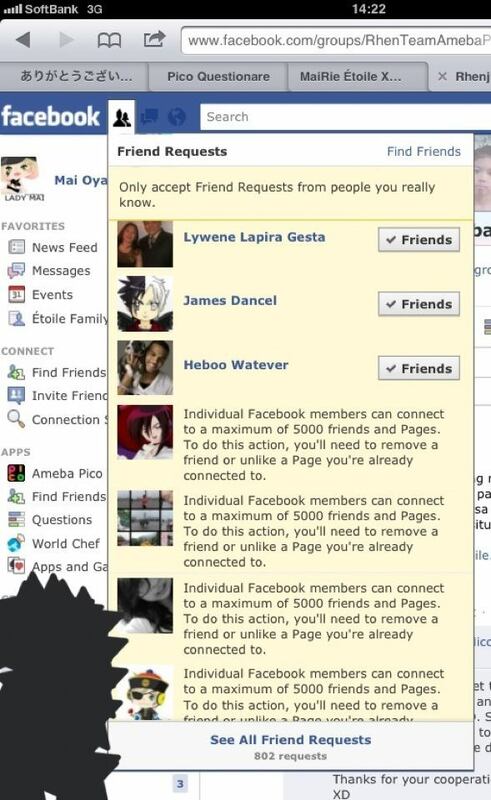 There were so many people who are adding me on my facebook, facebook.com/MaiRie.Etoile. I've been telling people for many times since I reached the limit that I can't add anymore. Facebook has it limit for every users. The max friends limit as of now is only 5000 and by looking at the picture... it says that I can't add morethan 5000 person on the account. Feel free to Like it and share to your friends. 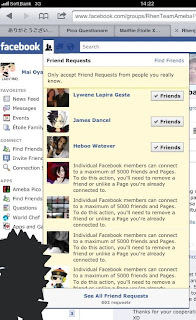 Let them know that this is the facebook where I'm active and not with my old facebook facebook.com/MaiRie.Etoile. Through this, I don't have to accept anyone with our any trouble. Everyone can stalk me. You can also message me on the page if you got any questions or anything you want to ask.